The seller will provide a marketing plan. At the federal level, the Federal Trade Commission (FTC) regulates the sale of biz ops. The FTC biz op rule does not preempt the state biz op laws, but allows the states to impose their own requirements. As of the date of this article, 26 states have passed laws that govern the sale of business opportunities, also known as seller assisted marketing plans, or the industry term: “biz ops”. Like the franchise laws, the business opportunity laws contain disclosure requirements and many require a filing. Unlike in franchising, though, there is no uniformity among the various biz op laws. These laws define a business opportunity in various ways and impose differing obligations on biz op sellers. Moreover, if a biz op offering subject to the FTC rule is also subject to the disclosure requirements of a prospective buyer’s state, the seller may be required to deliver to the buyer both the federal and state disclosure documents. A seller of a biz op must register the offering in most of the states that regulate them. This includes the filing of a disclosure document, a list of sales people and the payment of a filing fee. Many states also require the seller to post a bond, and some require that 80% or 85% of the initial payment be held in escrow until the seller has fulfilled its obligations to the purchaser. A few states also require sellers to file advertisements directed to prospective buyers, and may require sellers to include the state registration number in their biz op advertising. Franchisors need to be aware of the business opportunity laws, in order to avoid accidentally violating them. For example, some states require a biz op exemption filing even for franchise offerings made in compliance with the FTC franchise rule. 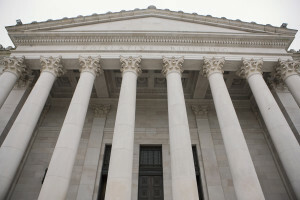 For example, in Connecticut, an offer of a franchise without a federal trademark registration will automatically onstitute an offer of a business opportunity unless some other exemption or exclusion applies. Other states where the business opportunity laws may apply to franchise offerings involving unregistered trademarks are Georgia, Louisiana, Maine, North Carolina and South Carolina. A new franchisor whose mark is not yet registered should either wait to sell in these states until after the mark is registered, or the franchisor will need to comply with the biz op laws of these states. Needless to say, there’s a lot more to franchising than meets the eye. If you’re interested in franchising your business, it is vital that you consult with an attorney to ensure that you’re not actually selling a business opportunity.